It has been a slow month for movie posters. And I rarely highlight superhero stuff, because I am no expert at the nuance/history of the characters and they are ubiquitious, and generally they are lazy. 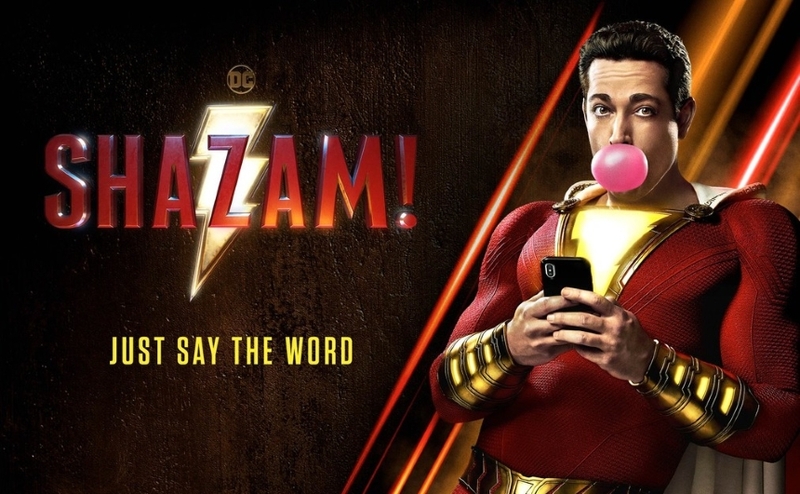 And yet, here we are with the new poster for DC's Shazam! feature coming out in 2019. The most recent key art is from the Cold Open design house, who generally do TV posters (Ballers, Maniac, Veep, BoJack Horseman, Game of Thrones). It takes a page out of the Deadpool marketing, namely cheeky and casual, while retaining the costumed hero in a decidedly non-superhero context. In this case it is bubblegum (do people still chew bubblegum?) and smartphones, and very casual body language. On the 'borrow from Marvel' front, the character might even be confused with X-Men's Quicksilver, if it were not for the ruby costuming and short-short cape. 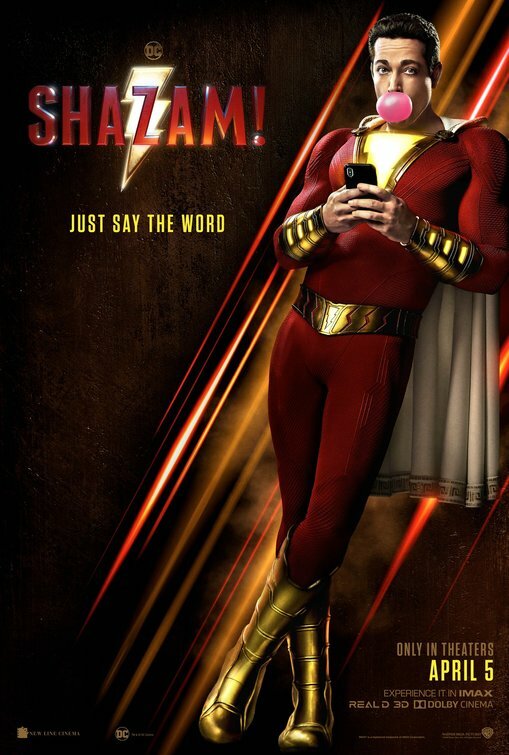 Nevertheless, it is an eye catching poster, mainly, because superheroes do not generally make eye-contact in their key-art, preferring the 'over the shoulder brooding pose.') Billy Batson dares us to look into his eyes, and that goes a long way itself, as the majority of superhero costumes have masks and covered peepers.